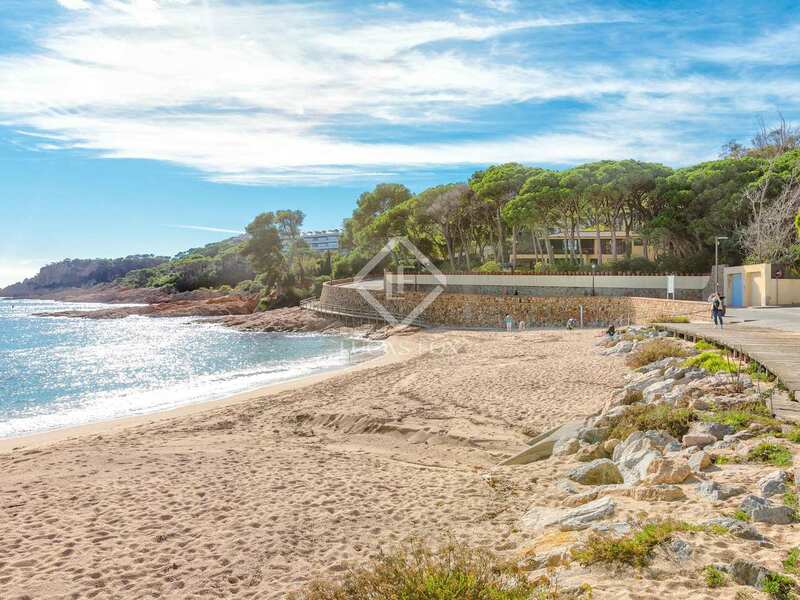 Large first-line property on Sant Pol beach with wonderful uninterrupted panoramic views of the bay of S'Agaró and the beach. 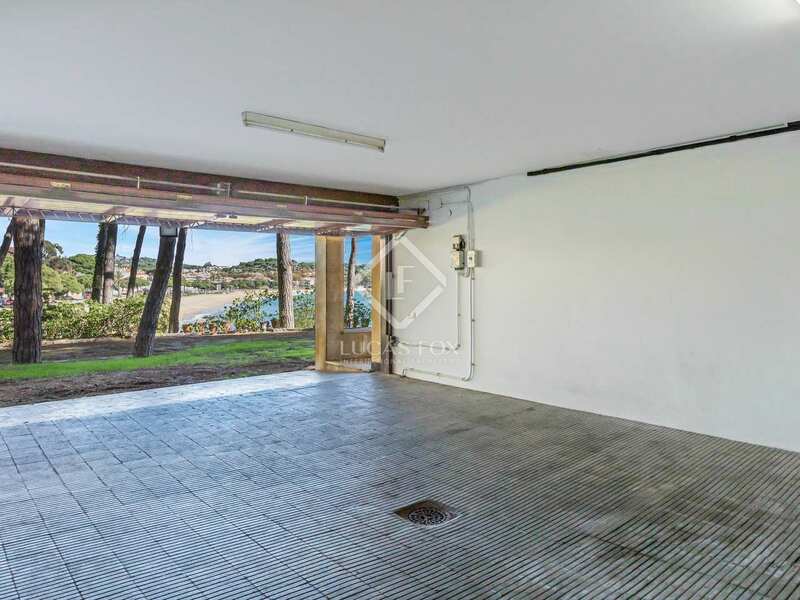 Huge potential for redevelopment. 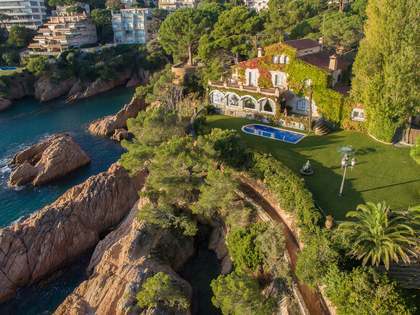 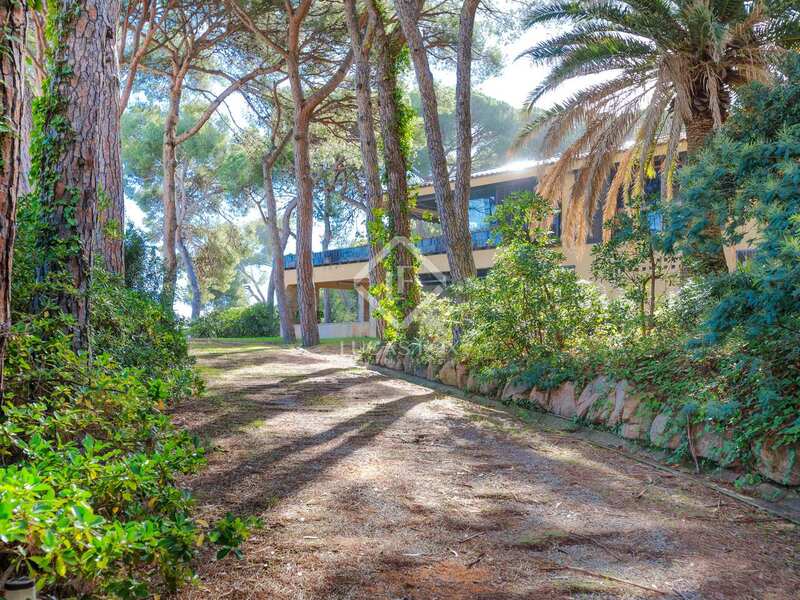 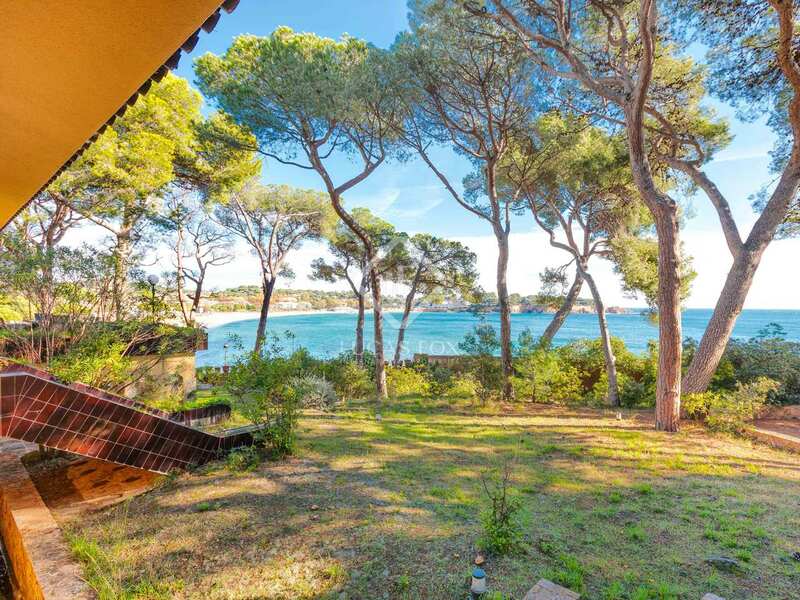 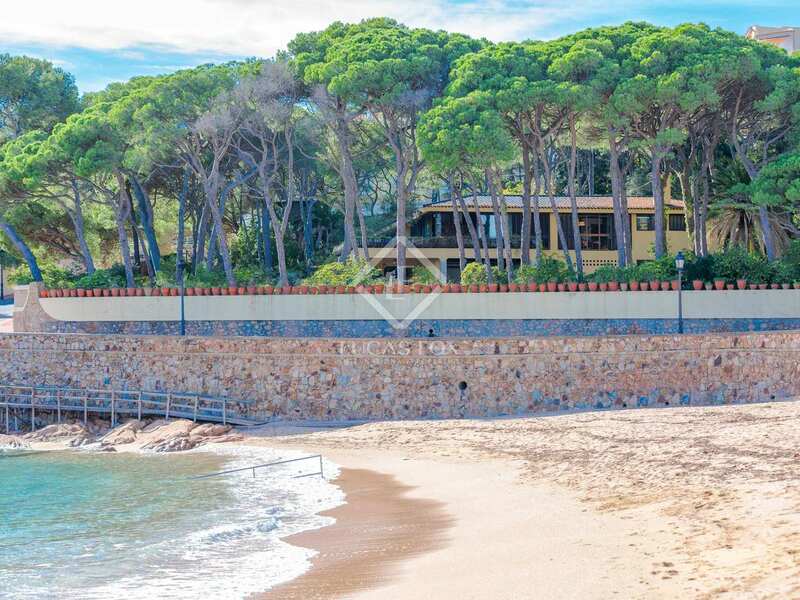 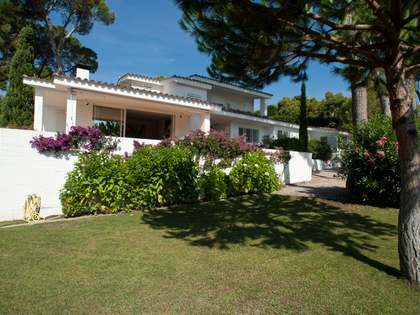 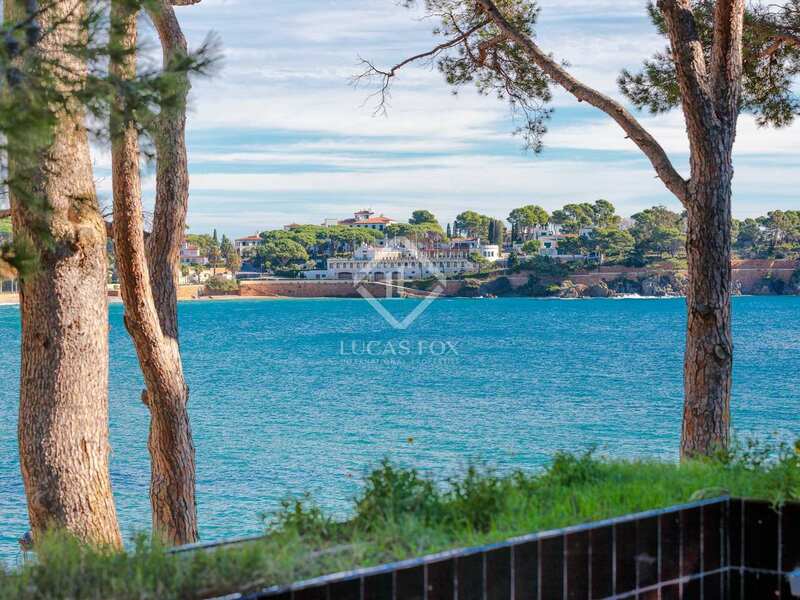 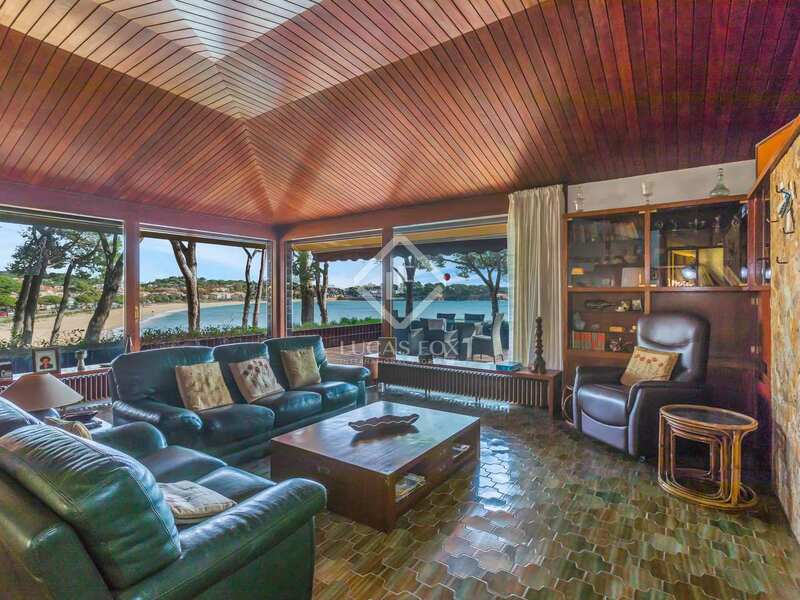 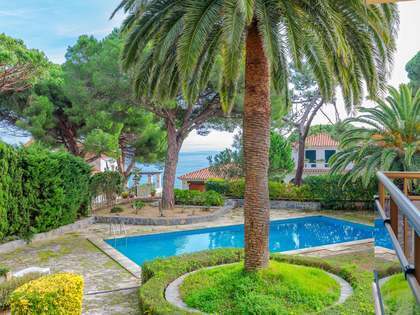 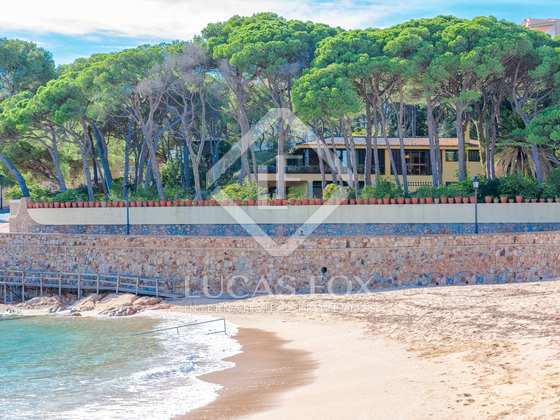 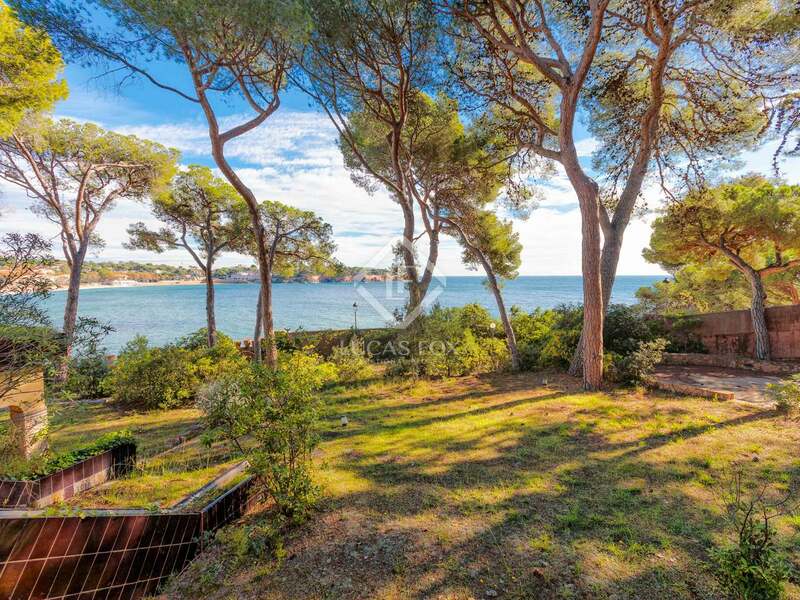 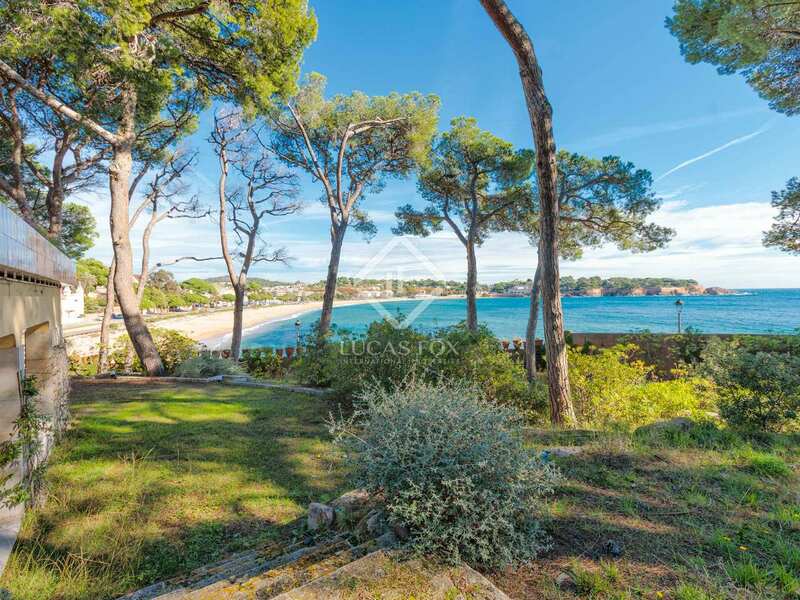 Outstanding first-line 6-bed property situated on a wooded plot of 3,802 m² overlooking the bay of S'Agaró and bordering the charming sandy beach of Sant Pol. 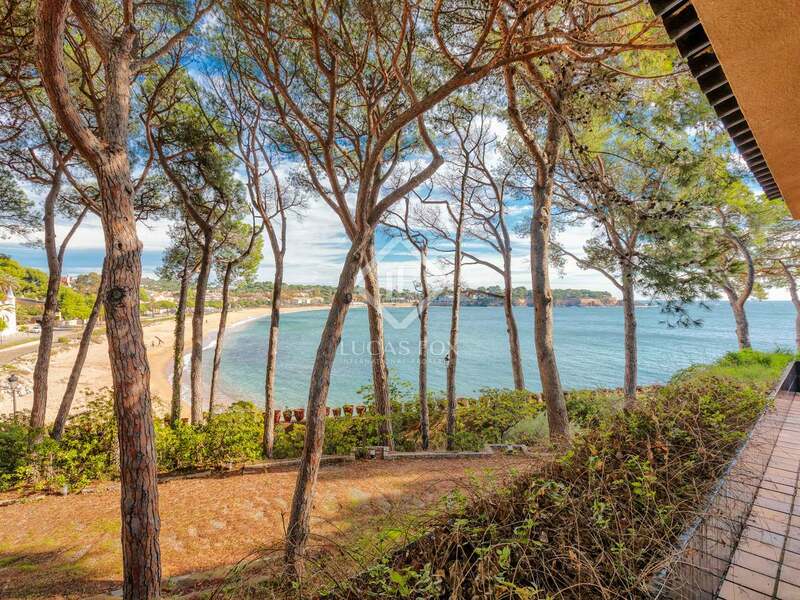 The property enjoys wonderful panoramic sea views from the house and the garden. 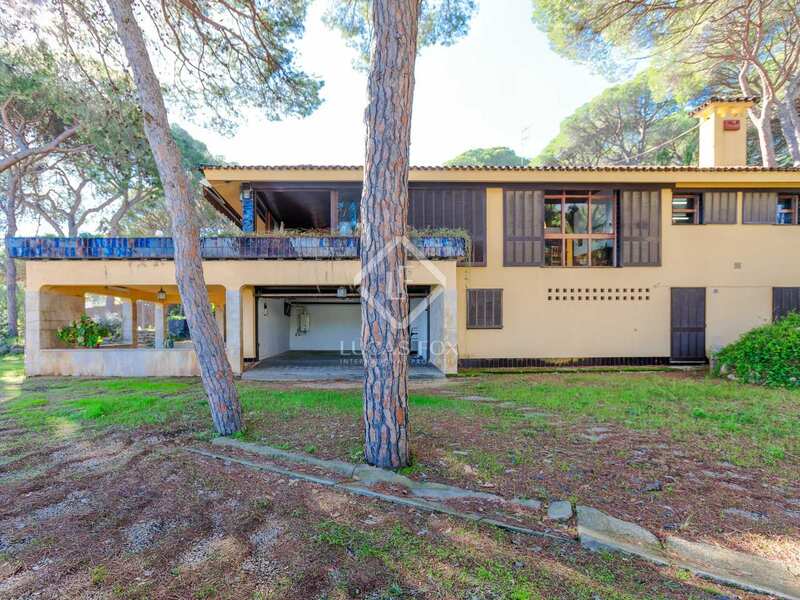 The 320 m² house was built in 1970 and could benefit from modernization and offers huge potential for restoration or redevelopment. 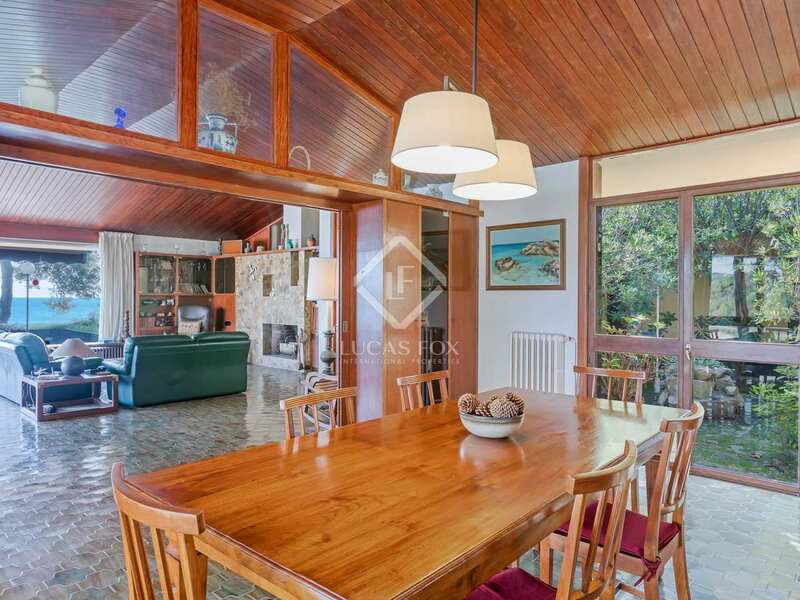 On the ground floor, an entrance hall leads us to a large open plan living room and dining room with a stone fireplace and wonderful sea views. 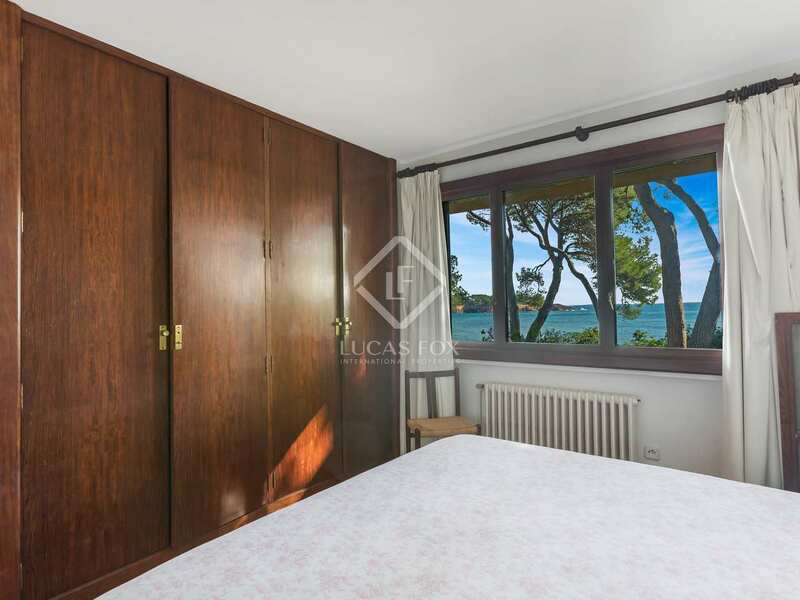 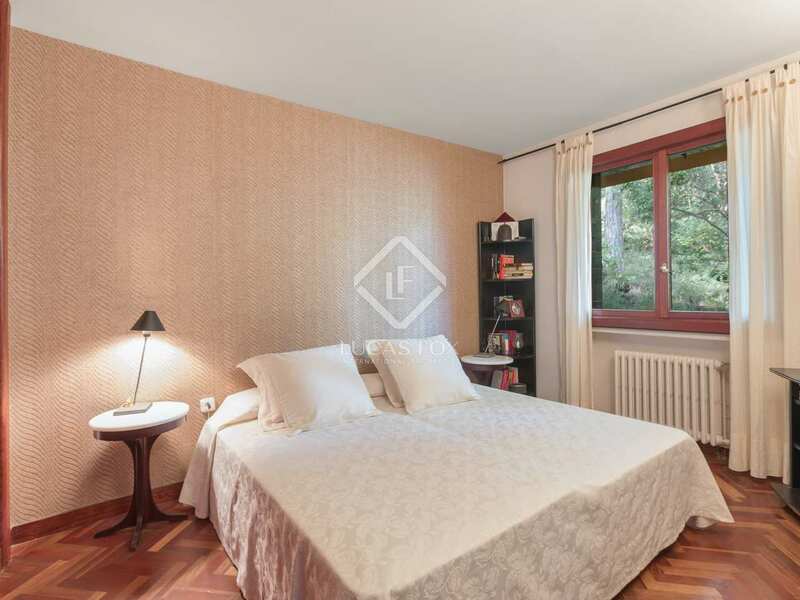 Patio doors open out onto terrace overlooking the S'Agaró bay and the surrounding garden which is given to mature pine forest and a decorative pond. 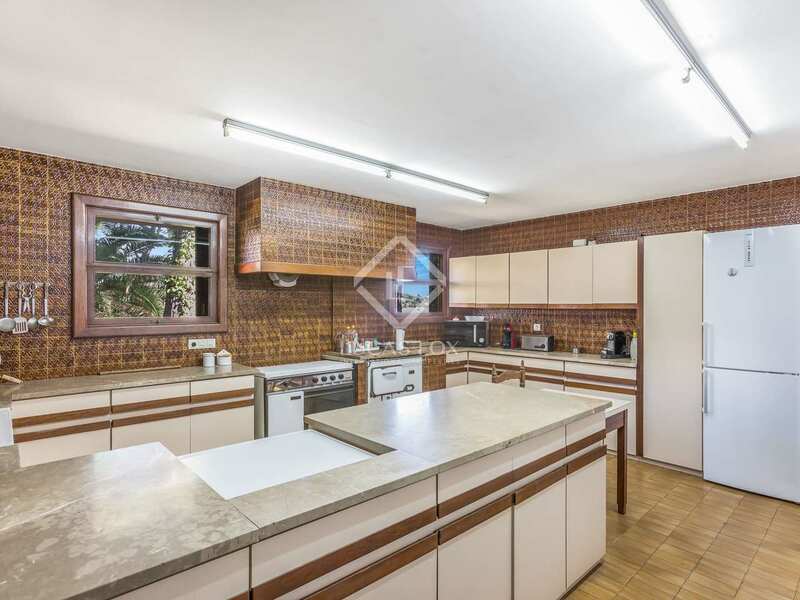 Moving on we find a kitchen, 6 double bedrooms and 3 bathrooms. 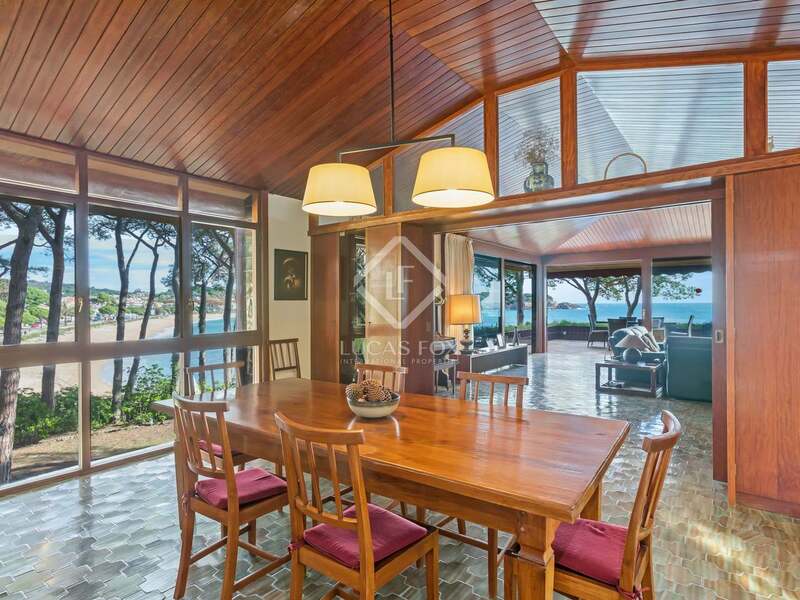 Tropical wood carpentry features throughout. 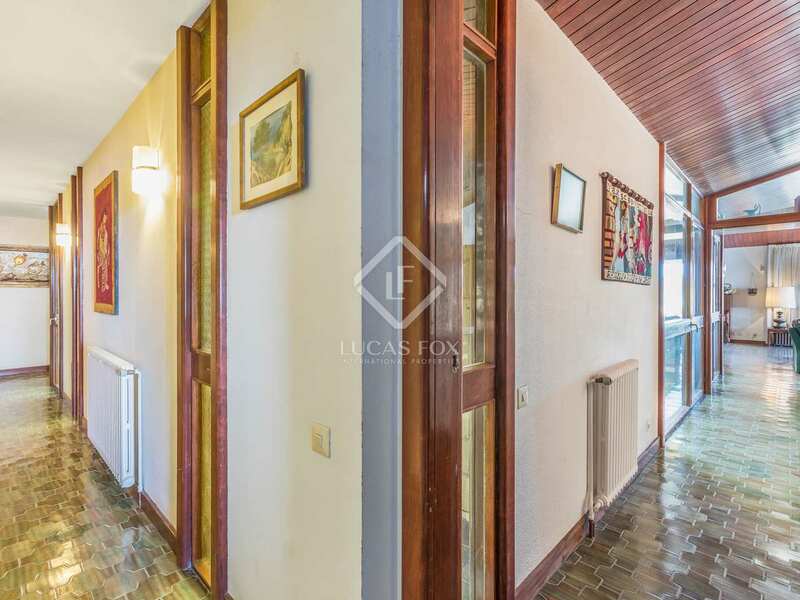 Stairs lead down to the basement with a laundry room and a large garage for 4 cars. 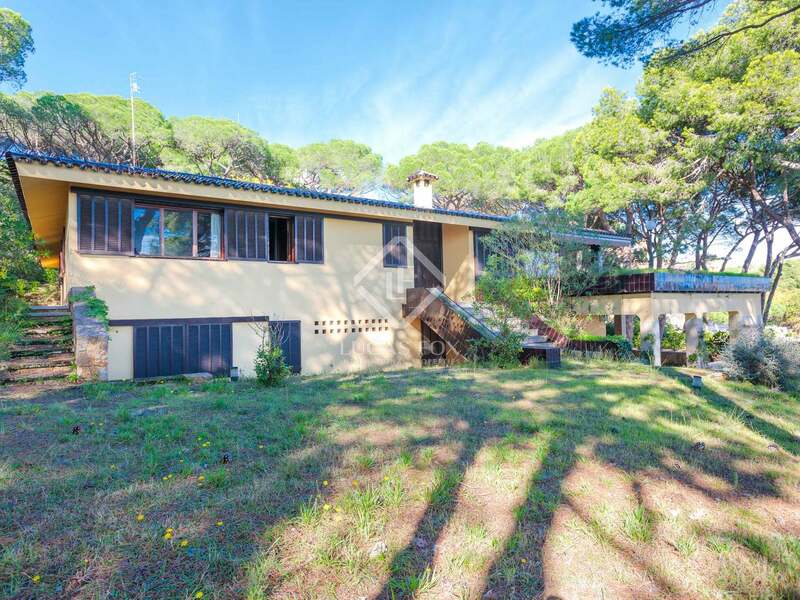 With some updating, this property would become a truly magnificent family residence or holiday home with enormous potential given its size, views and enviable location. 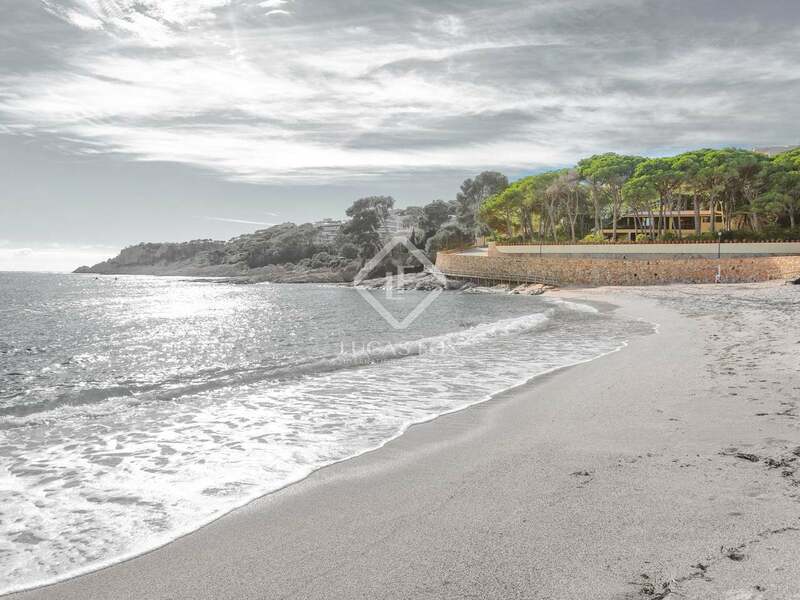 Do not hesitate to contact us today to discuss this exciting beachfront property. 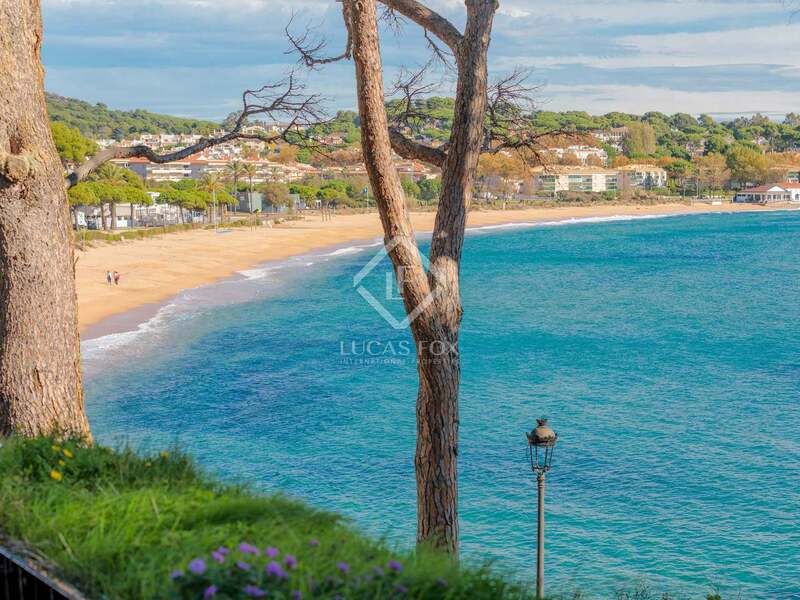 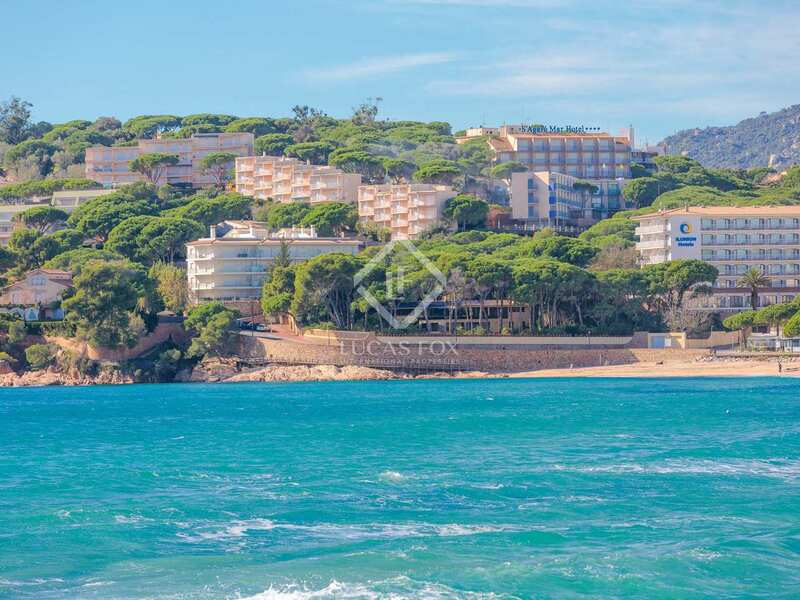 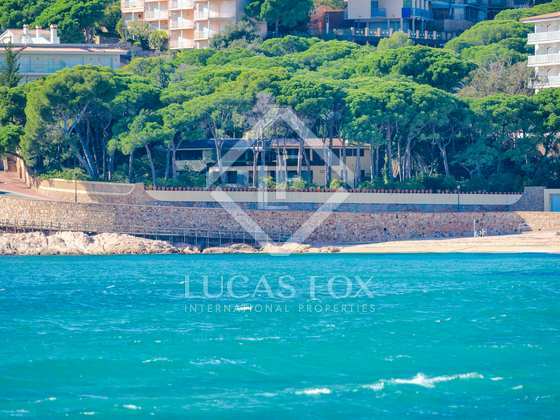 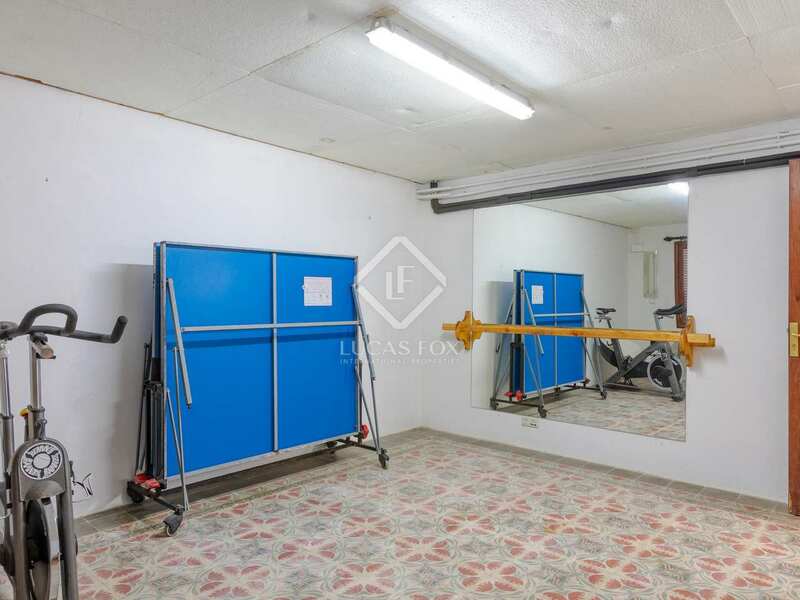 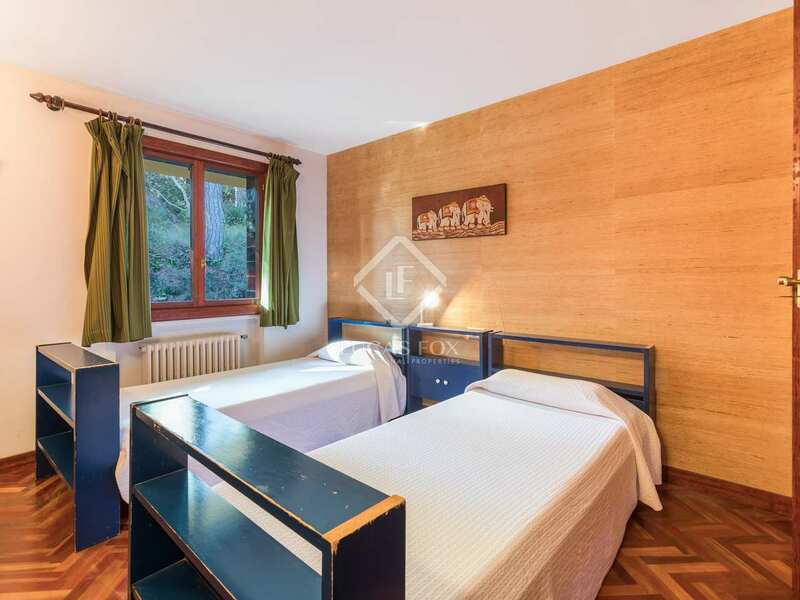 The property is located directly on the beach of Sant Pol in the prestigious neighbourhood of S'Agaró. 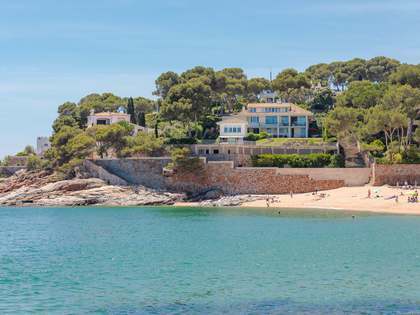 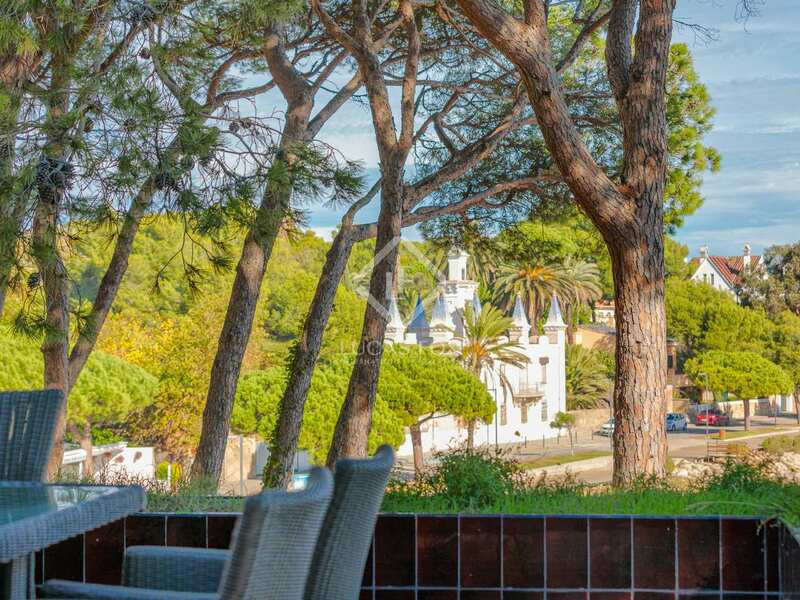 Situated half way between Barcelona and the Costa Brava and with excellent public transport links to both Barcelona City and its international airport, Sant Pol de Mar is a popular coastal town with all services, pretty, sandy beaches backed by lovely green hills.